When we left Florida after being Reverse Snowbirds, we headed up to Delaware to visit Danielle’s family. 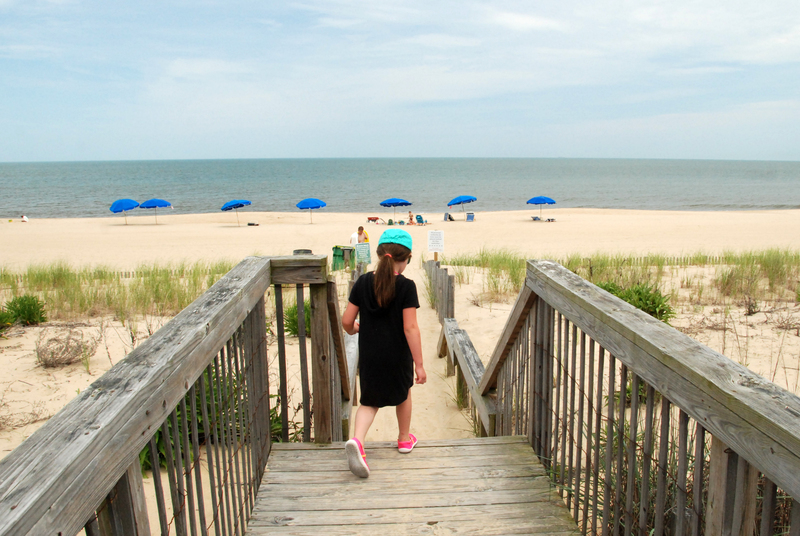 We went to an area that Danielle spent a lot of time at as a kid in Rehoboth Beach. Although we traveled all across Florida, this was our first multi-state trip in the Road Warrior. I was excited to see how it drove long distances with a variety of road conditions. It handled well and we drove until we were tired and pulled into a gas station to boondock for the night. Although it’s common for RVers to stop for the night when they are tired, we asked permission. The owner was so nice and encouraged us to get comfortable by putting our slides out and making ourselves feel at home! When we travel long distances we try to be as efficient as possible with our gas and our stops. If you aren’t conscious about it, your “quick” stops can end up eating away at your driving time and before you know it you’re driving after dark and haven’t gone nearly as far as you’d like to. We’ve realized over time that there are things we can do to make sure we maximize our driving time and efficiency in our travels. There are primarily three apps that we use when we travel to make sure we can stop efficiently and fuel up as inexpensive as possible. We use this to find the cheapest gas possible. It pulls up the stations closest to you in order of price. We use this every time we fill up when we are in our truck and not connected to the 5th wheel. Sometimes nature calls when you’re driving down the freeway. 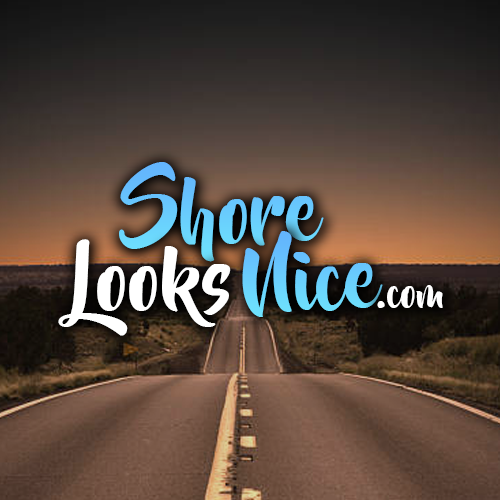 This app is great for finding the nearest rest stop on your journey to quickly pop in, do your business and jump back out on the open road. This really came in handy when Zoey was a puppy and had to stop every few hours. Rest stops are great for a few reasons but we’ve realized that the more distractions you have, the longer you will typically take when you stop. If you stop at a rest stop and aren’t distracted by fast food, buying stuff in gas stations, etc then you’ll minimize your stop time. 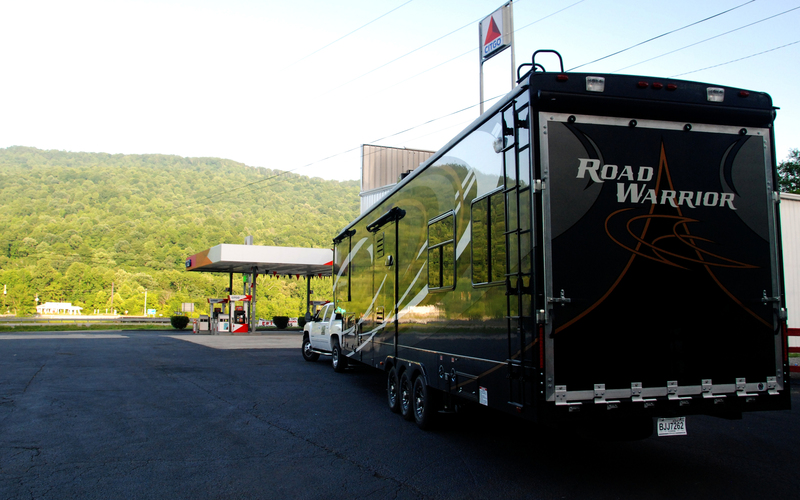 Our Road Warrior is 44 ft long. That’s a BIG RIG! It’s really easy to drive and with our Chevy 3500 dually we don’t hardly notice it’s back there….except for when I have to exit the freeway! Gas stations scare me. Truck stops allow us to pull in with ease so we tend to exclusively stop at truck stops when we’re heading on long drives because I don’t have to risk a tight squeeze. I learned early in our travels that the number one insurance claim for RVers is from hitting the gas station pumps or the concrete pillars protecting them. 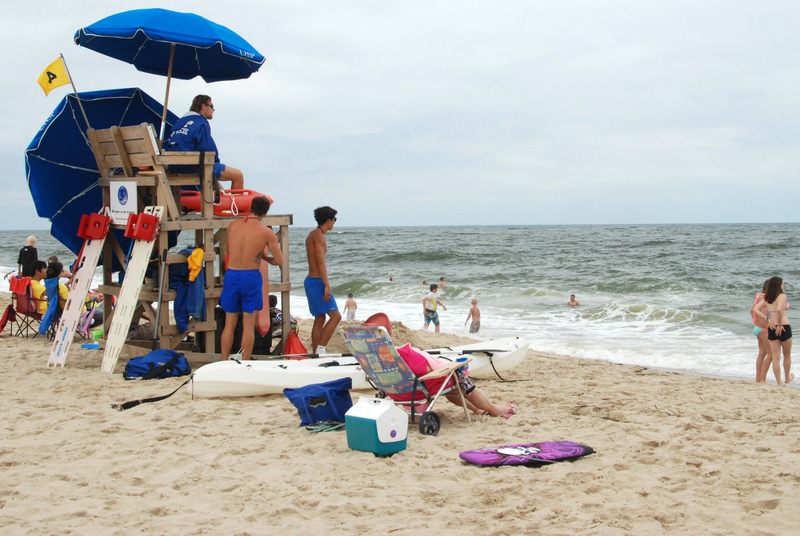 When we got to Rehoboth Beach the weather was great so we headed down to spend some time relaxing at the beach! There are towers from WW2 that were built to protect the Delaware Bay from attack. Danielle was excited to hang out at the beach before she got “too big” for her swim suit with the pregnancy. 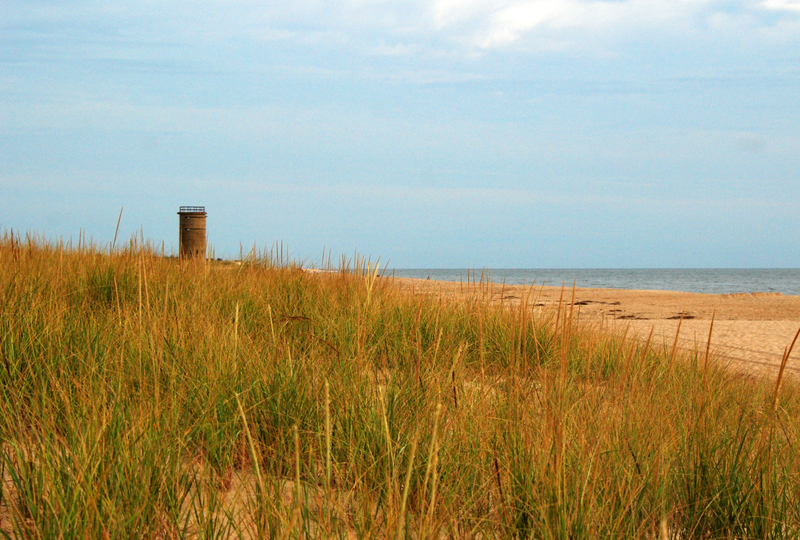 We headed over to Cape Henlopen State Park. 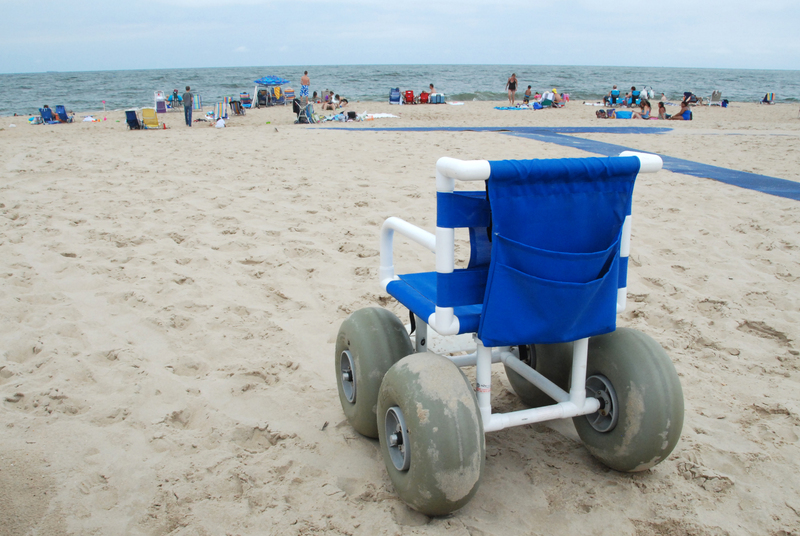 Check out this awesome beach chair provided by the State Beach! The life guards were on duty for the busy weekend and were also doing rescue training in the water which was cool to watch. 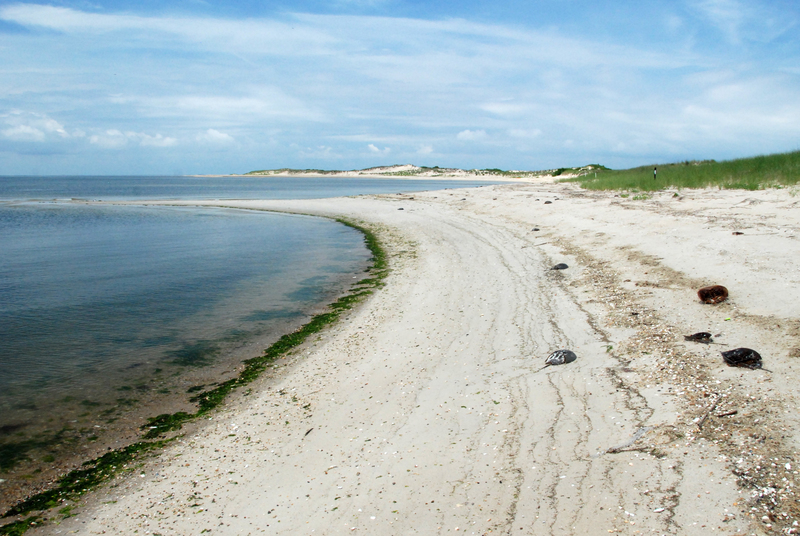 There are a few different beaches in the State Park. Some of them are busy with swimmers, and some are empty with horseshoe crabs. This beautiful beach faces a big lighthouse to the left. Neat tips! Glad the truck is working well… 2008 dually… its diesel right? Yep working like a champ! Yeah it’s diesel. 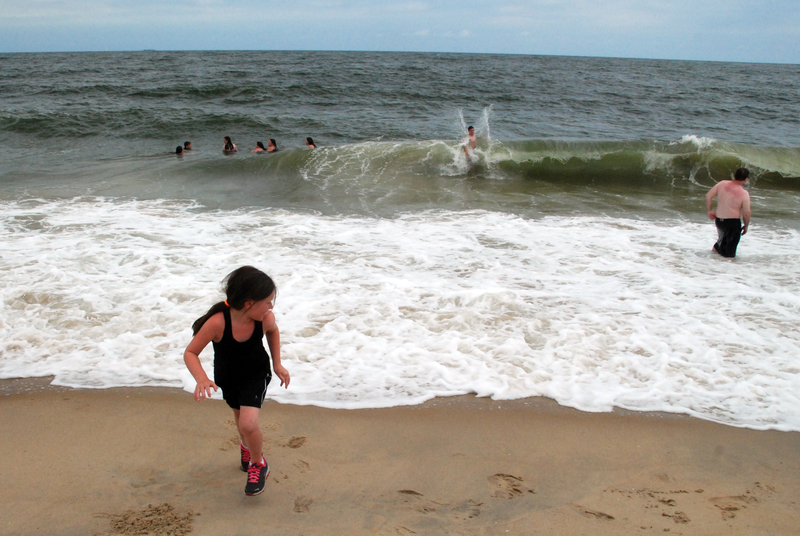 Ah yes… many fond memories of visiting Rehoboth Beach when we lived in the DC area. Still try to get by Nicola Pizza when we’re in the area. Where did you camp? We go every year. We’ve been to Gordon’s Pond, Henlopen State Park, and a house that Danielle’s parents own on Rehoboth Beach. Nicola’s is awesome!